Winter weddings are becoming so popular! Here is my "something DIY" for my wedding! Planning a wedding is a big endeavor and with all of the little details to think about, adding a DIY project to the list may seem a little daunting. 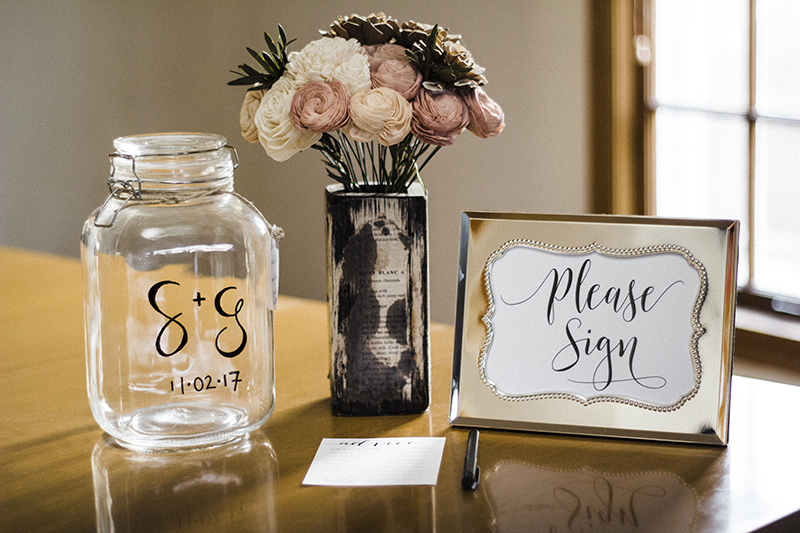 However, this wedding guest book alternative is so simple and easy and I love that you can display the jar in your home after the wedding! I found the glass jar and picture frame at Goodwill and since I already had card stock, twine, and paint markers, the entire project cost less than $10.00. Another great thing about the advice jar is that you’ll get some wonderful (or quite entertaining) advice from your family and friends that you can read after your wedding or even at your one-year anniversary! 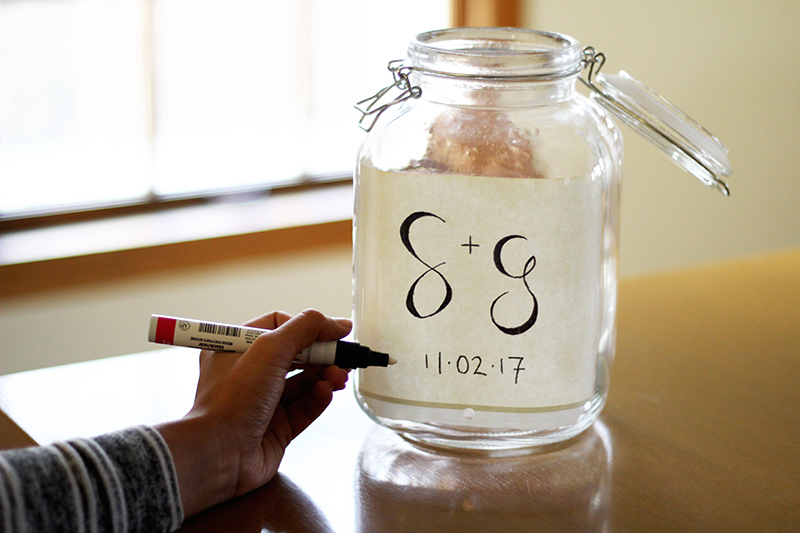 Using any color paint marker, paint your initials, names, or any other fun details about your wedding on the jar. To make things easier, I drew what I wanted on a piece of paper first and then taped it to the inside of the jar so that I could trace over it and ensure everything would look the way I wanted! 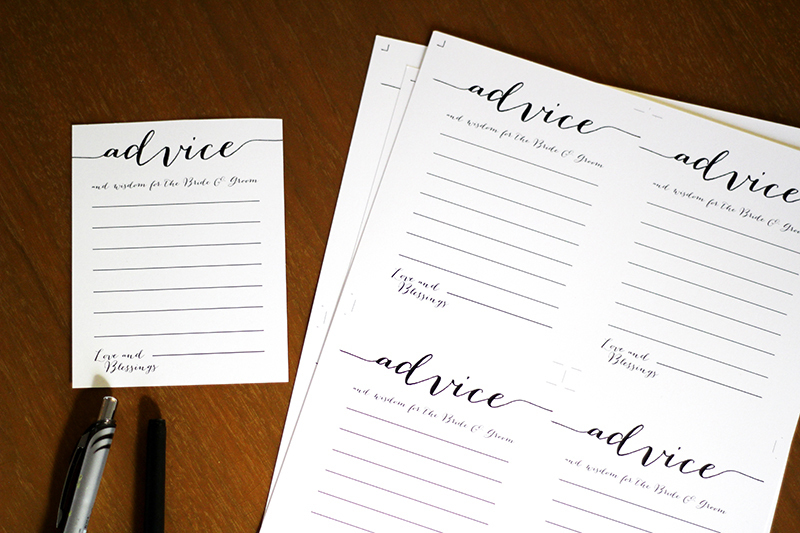 Next, you’ll want to print out advice cards that the guests will fill out at the wedding and drop in the jar. I found my template for free on Pinterest but you can design your own as well! Once they are printed, cut them out and you’re all set! 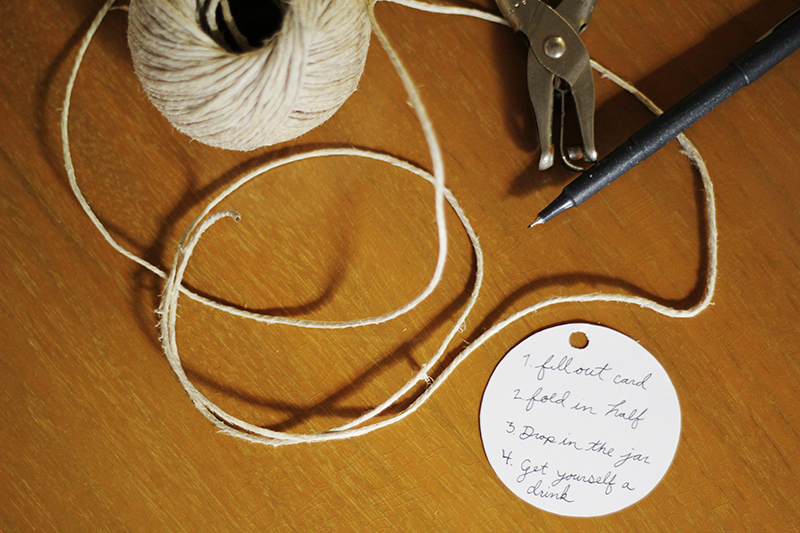 Use twine (or ribbon) and card stock to write a little note to your guests, telling them exactly what to do! We cut out a circle, punched a hole in it, and then wrote the directions. Our last step told our guests to grab themselves a drink! Feel free to have fun with it and make it silly. Next, tie the wine and note around the neck of the jar. To finish the look, I used a faux flower bouquet from Eco Flower, but you can also ask your wedding florist to display some real flowers next to the advice jar as well. Again, this project is super easy and cost-effective. 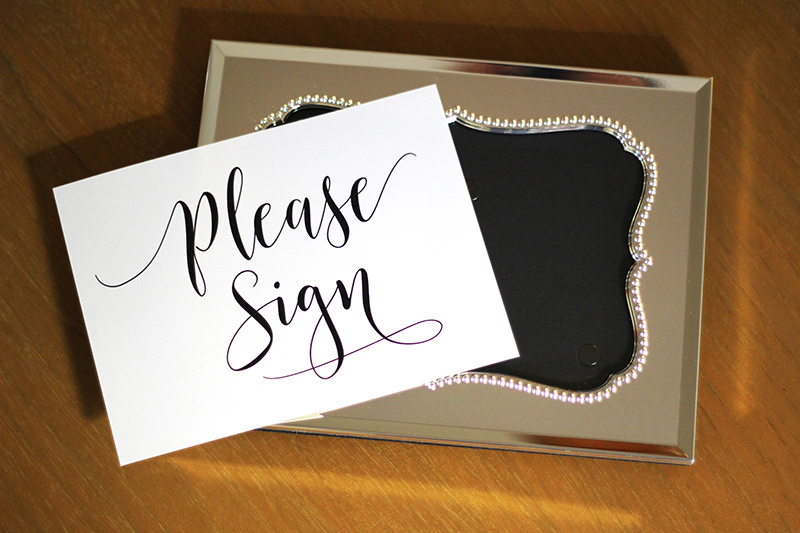 Your guests will have fun filling these out and you’ll be able to preserve these messages for a long time. Don’t forget, you can customize this so that it matches the vibe of your wedding so brainstorm different ways you can make it unique to you!